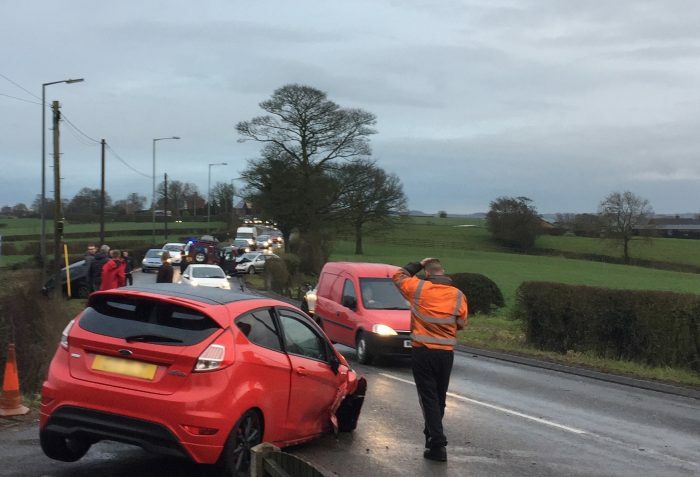 Staffordshire Police were called to the crash which involved a red Land Rover, a red Ford Fiesta ST, a black Audi S3 and a silver Skoda Superb. 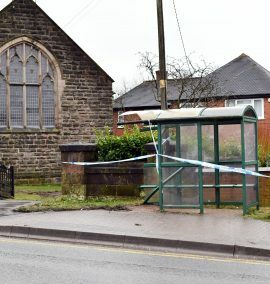 A force spokesman said: “We were called at 5.40pm on Monday, March 18 to a report of a road traffic collision on Leek Road, Kingsley Moor. “Fortunately no injuries were reported. 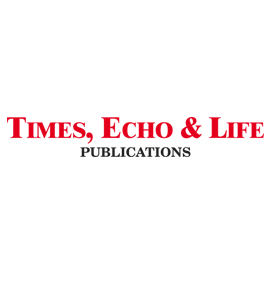 Residents in the area have called for plans drawn up by Staffordshire County Council to be fully implemented along the stretch of road between Cellarhead and the junction with the A52 opposite Kingsley Service Station. A long-standing campaigner said: “People are still getting involved in collisions on this stretch of road. “We don’t know what caused this collision, but we are still seeing accidents here and the measures we were promised have not been put in place. “The full speed reduction plan, agreed three years ago and supposedly implemented last Easter, was supposed to include solid central lines along this stretch to prevent overtaking. “We were supposed to have ‘slow’ written on the road and clear signage for the new 40mph and 50mph limits. “What was put in has been snapped off, with only half the signs replaces and lit signs have either not been replaced or are not working. “We went to meetings and put so many hours and weeks into this over the years. “It beggars belief that they are not implementing the very plan that took so much time to agree on. “We asked for three zones to be at 40mph and we compromised with on, but even that compromise hasn’t been fulfilled. “It’s one thing highlighting these issues and being told that they are listening, but it’s another thing when they are not actually putting in what they have agreed. “It’s not just about one stretch of road, this is a major road into Cheadle. “We’re talking about the word ‘slow’ being written on the road, a handful of signs put where you can see them to say it’s a 40 or 50 mpg zone and a sign warning people to slow down on the bend. Staffordshire County Council were approached for comment. 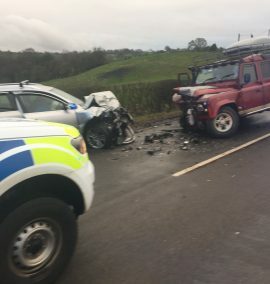 Staffordshire Police have logged the collision with incident number 599 of March 18.